A few months ago Jodi praised Nimona by Noelle Stevenson and I kept hearing about it from other people, too. 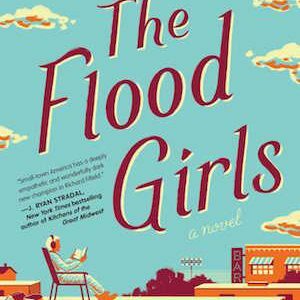 I finally read it and I’m happy to say the praise is well deserved. Nimona is a damn good time. I loved Nimona by the end of chapter one, which is actually only two pages. No exaggeration, two pages was all it took for me to be on board. On these first two pages, Nimona, a young, spunky shapeshifter with a great personality bursts into supervillain Ballister Blackheart’s compound and states she will be his new sidekick because she’s a big fan of his work. She’s so charming in these two pages, telling jokes, turning herself into a shark, and making me smile instantly. She didn’t make Blackheart smile instantly, but slowly she wins him over and they both try to expose the crimes of the Institution, the place Blackheart used to be loyal to when he was being trained as a knight, alongside his old friend and now enemy Sir Goldenloin. The Institution is the governing body in this world, and Blackheart is bound and determined to show they aren’t as righteous as they claim to be, even if it means ruining his friendship with Sir Goldenloin, a friendship we learn more about as the story goes on. 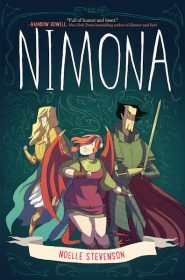 We learn about Nimona as the story goes on, too, because she is not all she claims to be. There’s a sad backstory and more to her intentions than just being Blackheart’s sidekick. This is just so much fun. 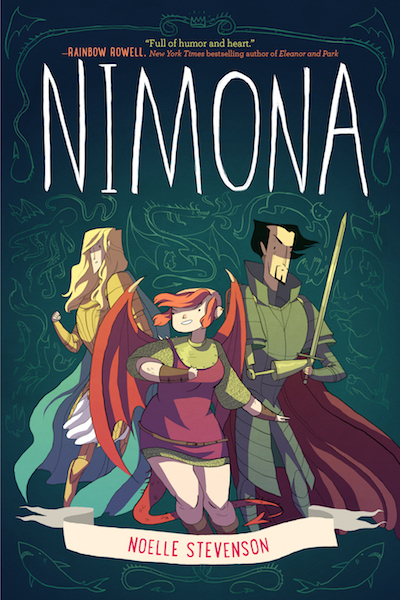 I’ve already mentioned the charming and funny Nimona, but there’s more than that. 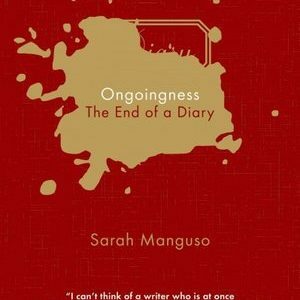 This is well-drawn and written and there is a lot of great banter and comedy throughout, as well as some thinly veiled social commentary, like how a newscaster goes from talking about outlawed poisons the Institution is experimenting with to instantly going into a story about Sir Goldenloin’s codpiece and what’s underneath it. So good. I looked up Noelle Stevenson after I read this and she’s only 23. On one level I’m sickened by the idea that a 23-year-old was able to make this (it’s jealousy, really), but I’m also so excited, because this means we’ll hopefully get a lot more from her. And I also realized that she’s the co-author of Lumberjanes, so I’m going to get that ASAP. She’s that good, folks.